There’s a new home listing that’s been making the Internet rounds this week, and it’s a must-see for anyone who is selling their house, considering selling their house, or just wants to do a little point-and-stare. Oh, and for mannequin lovers. Let us explain. 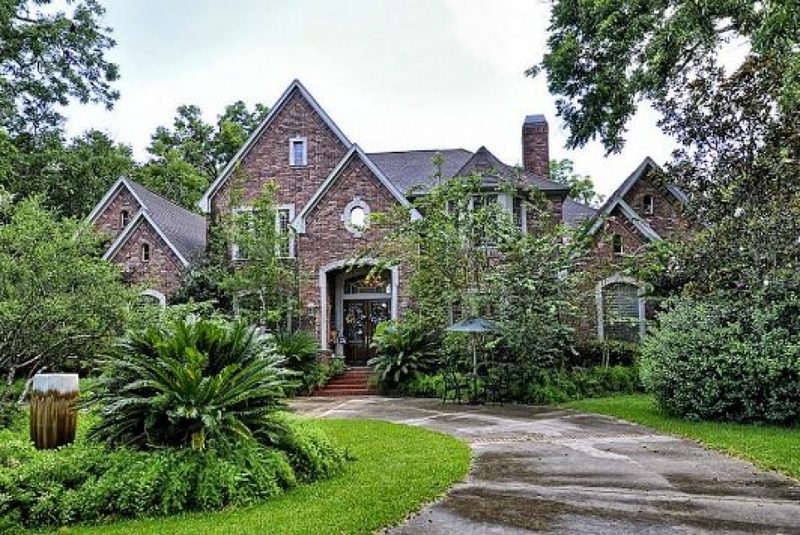 The house in question is a large, gated estate on Jones Creek in the desirable Houston-area city of Richmond. I’ts listed for $1,275,000. At five bedrooms, five baths, and 7,406 square feet, with two acres of pastoral grounds backing to a scenic creek with a cattle ranch on the other side, and features including an art studio, game room, trophy room, swimming pool, outdoor kitchen, and a garage apartment, it’s seemingly a gem. But that assumes you can actually see any of what the home has to offer. The owner of the home, whose identity is undisclosed, is an artist. And the home is her canvas. Oh, and her tools aren’t paint, they’re…well, see for yourself. But that’s hardly the end of the discussion, and it brings up a few more keys for selling your home. A house that’s picture-perfect on the inside but questionable from the street isn’t doing a seller any favors. It takes just a few seconds to to form a first impression. If the mannequin standing at the front gate (presumably, the community’s HOA either limited the number of mannequins to one or made sure it was inside the gate, or both) doesn’t raise an eyebrow, perhaps the knocked-down and haphazardly restacked mailbox will. I mean, we presume it was knocked down and haphazardly restacked. It could be “art,” after all. Yes, the clutter in this master bedroom is overwhelming. But beyond the sheer amount of stuff in the space, why is there a mannequin at the foot of the bed? Even more curious: all the dolls stuffed into the bookcases. One look and I’m heading right back out the door. You? Bonus question: Where do you even get all those mannequins? Wait. Foot-of-the-bed mannequin has a friend. Or two? Who’s that climbing under the table? Most sellers, and, certainly their agents, would insist on framing that view out to the pool and creek. But, between all the taxidermy (real or faux), pelts, knickknacks, dolls, blankets, and furniture, it’s hard to even focus the eye, even with that grand expanse of glass. Maybe this serene view of Jones Creek makes it all better? Is that a mannequin riding the lawnmower? This home has great features throughout. In the living room, there are beautiful built-ins, gleaming hardwoods, an elegant fireplace, and detailed dental molding all around. But you have to look hard to notice any of it. Let’s test that theory in the kitchen. This gourmet space has professional grade appliances and a huge island – and every inch of it has been covered with something to distract potential buyers from the great features. At least the seller staged a mannequin at the island to showcase the eating bar. That is a mannequin, right? Look at the features in this library. Behind all the books, papers, rugs, birdcages(? ), and a mannequin that is WALKING ON THE CEILING, there are some stunning bookcases, and French doors that lead out to a patio and pool – if you can manage to get to them. Does it make you more interested in seeing the home, and, if you do want to see it, is it only to count the mannequins? And, P.S., don’t get any ideas about trying to buy the home with everything in it. The owner has stated she’s “taking everything” with her when she moves on.